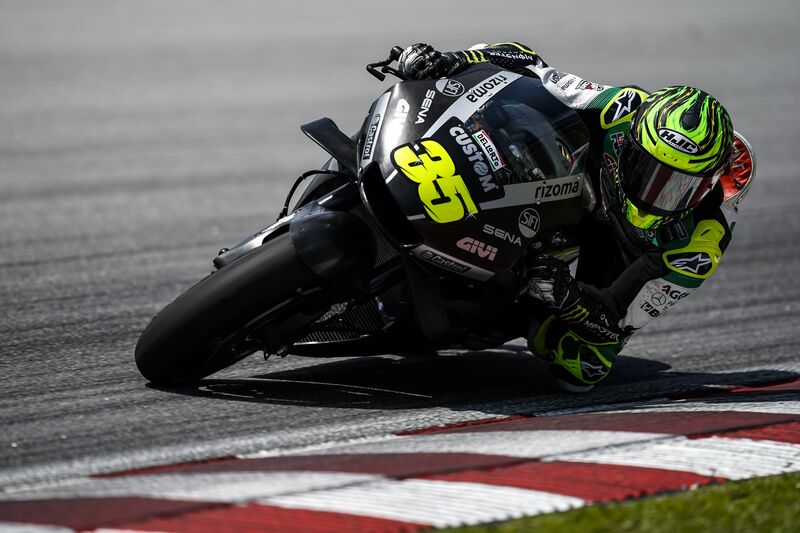 After a three-month absence from any kind of racing motorcycle following his nasty ankle injury at the Australian GP, Cal Crutchlow returned to MotoGP action this week with the first pre-season tests in Malaysia. Considering the extent of his injuries, the LCR Honda Castrol man was unsure of how things would feel on the bike, but having ended the three-day session as top Honda and faster than the official circuit best lap, it is clear that the Brit will be competitive yet again. On the final day, Cal focused on testing parts for HRC on the new factory RC213V motorcycle he will ride in the 2019 MotoGP World Championship. Despite missing out on an absolute fast lap when he had a small slide out on the softest tyre, he still posted the sixth fastest time of the day, and the test as a whole. Crutchlow and the LCR Honda Castrol Team return to testing action in two weeks’ time at the Losail Circuit in Qatar, before the season opener at the same venue in early March. “I’m happy at the end of the third day, not only with how the test has gone, but to be finished with it too! My ankle by the end was getting sore, hot, and swollen. I feel in good shape however, and the ankle feels good on the bike. It doesn’t bother me on there, it bothers me when I stop. “I kept the length of the runs quite minimal today, because we didn’t need to go long – we were testing items rather than testing for race pace. I was really pleased with my pace all day. On the used tyres we were consistent and fast which is good. It’s good going into Qatar and especially after a three-month lay-off – to ride again and to be competitive with it. “I should have gone faster in terms of overall lap time, but I crashed. It was completely my own fault, I went into turn two over-excited! I lost three-tenths in the first sector on my fastest lap, compared to a normal good lap. So, the next lap I pushed like a madman thinking I needed to go half a second faster than I had the previous lap. I had some chatter, tried to save it, and crashed. That was with the really soft, test tyre. On average I think you could take at least six-tenths off with that, so I’m confident we could have gone a lot quicker, and then we didn’t use that tyre again all day. “I think the 2019 bike is definitely better, but my feeling is I just need to adjust it a bit more. I ride quite a neutral bike, but I haven’t found the perfect setting with the front end just yet. Overall HRC has done a great job with the package. I think it can be competitive for the championship, and it’s one I’m looking forward to riding this year”.